Thank you for joining me. This is my first post. Miles of cultural bayou I’ve traversed to arrive at this point of disembark. Sluffs of social media ignorance. Alligators of self-doubt. But I’m here. You’re here. And we’ve gotten on the boat. Come with me! 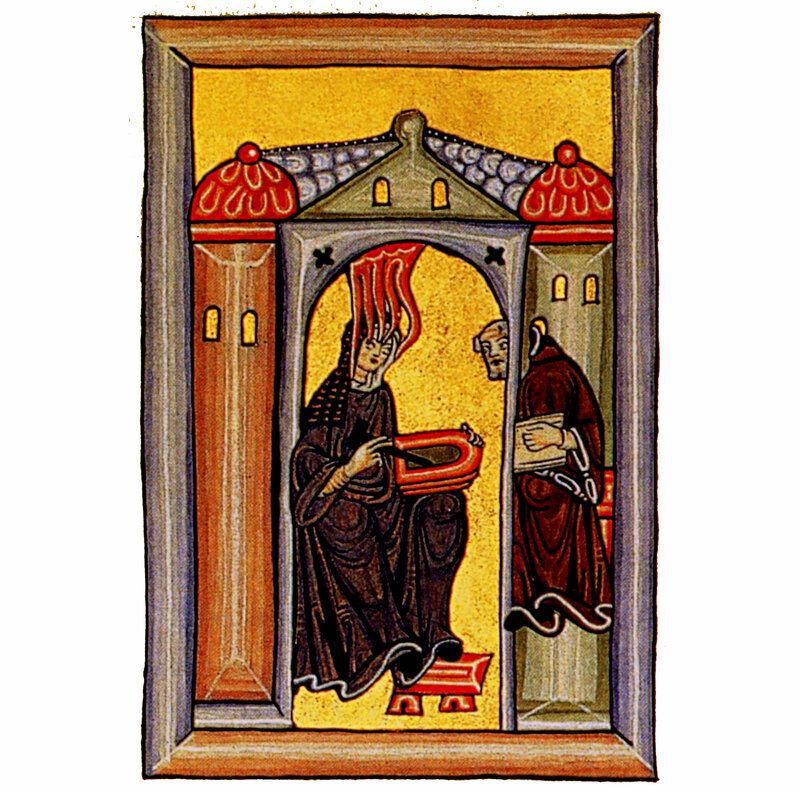 Above: Hildegard, Magistra (Teacher of Nuns), sketches a vision she’s receiving (see the flames!) on a wax tablet as confessor, Benedictine monk Volmar transcribes her words. Illustration from Scivias (Know the Ways of thy Lord), (1141-1151) the first of Hildegard’s three great theological works.